As one of the gateways to the Sonian Forest, DROHME is a living park, full of (hi)stories and reimagined as a place that encourages people to meet up and wind down. Abandoned for more than twenty years, the classified site of the Hippodrome of Uccle-Boitsfort has been restored to its former glory thanks to DROHME, the Brussels-Capital Region and the European fund FEDER. 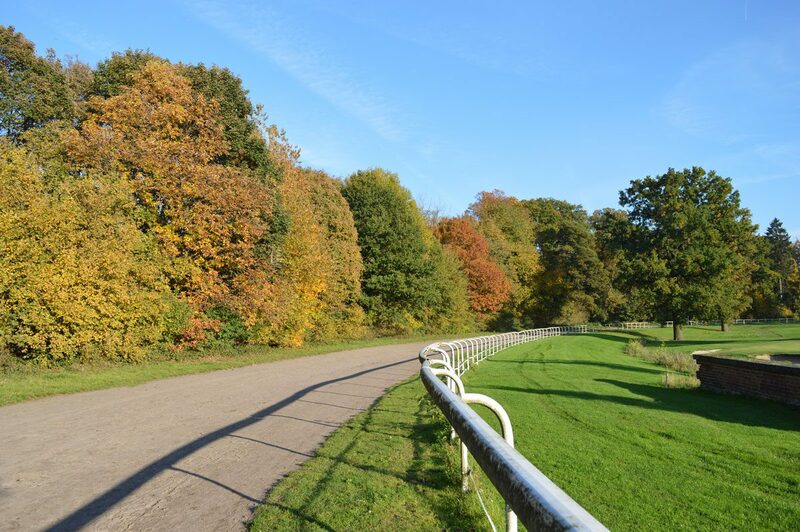 Since 2014, the park has become increasingly beautiful and welcoming, much to the delight of walkers, joggers, riders and cyclists who are rediscovering this magical place. DROHME is a living park, full of (hi)stories and reimagined as a place that encourages encounters of all sorts. Open to all, the park offers regular activities. The existing offer is expanded all the time, adding new opportunities for relaxation, leisure and culture, whether by yourself or with family and friends. Even today, you can set out for a walk, go running or jogging on the former race course, enjoy a lovely meal or practice your swing on the green of the Brussels Drohme Golf Club! Discover our activities programme by consulting our agenda page!